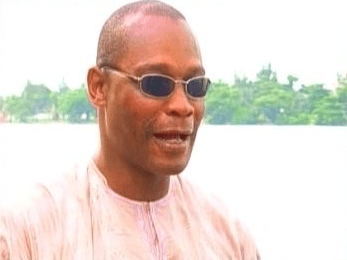 Veteran Nigerian actor, Norbert Young has recently expressed his feelings for Nigeria’s movie industry, saying there’s no Nollywood but rather ‘Igbowood‘. Nobert Young revealed this in an interview, saying the industry has become stereotypical with the same faces doing the same things over and over again. ‘You say you have actors and celebrities, how many actors can you count? The same three or four people in every movie, the same three or four girls in every movie. The same story about love or hatred or betrayal or this and that. Is that an industry? Industry of just four people and one tribe. I have said somewhere that it should be called Igbowood just like you have Yorubawood and Hausawood. It is not Nollywood if Nollywood represents Nigeria’, Young said. Young is 53 years old and hails from Delta State. He graduated from the University of Benin, Nigeria and studied Theater arts. He is one of Nigeria’s most experienced and professional actors ever. He’s so on the point! Do the government sponsor the industry as well? All other tribes have their movies casted with their domestic languages while that of the Igbos are being done in english for worldwide and distance coverage. First you should look at the producers,directors,writers and soundtracks etc to know about the background. I need to know if the government fund the industries,meanwhile there are most actors and actresses who feature in yoruba films and i do not know them but whenever news about them come up,they have always been addressed as Nollywood stars….. and so forth. If you act under any guide;yoruba,hausa and igbo film,they are all nollywood. So no need to be tribalistic hence a yoruba/hausa films could be watched by all including non nigerians and can feature any actor as long it is done in english language. The same reason I’m not a fan of nollywood *sad*. I’m a proud nigerian sha. Igbo Kwenu ,kwenu ,kwezuenu ….we wil continue to rule naija movie bcos we started it.. [tinz fall apart] by chinua achebe starring Pete Edochie etc…D marketers(igbos) made nollywood 2 be seen in Ghana years bak..so,its our sweat we ar enjoyin…Buhahahaha..
Norbert,you should always be more careful when you want to comment on sensitive issues such as this. I am disappointed with this your attack on the Igbos. just lyk d way yoruba pple rules in music industry,na so we igbo rules n shine in nollywood.! That is an indisputable expression/stance. I absolutely concur with him, inspite of the fact that i hail from Imo State. There are lots of lacunas, disequilibrums,favoritisms,obscenities,abnormalities, e.t.c. in Nollywood. All these maladies and anti-thesis contributes immensely to the underdevelopment of the industry. The need to be arrested/anihilated. Let Nollywood adjust her/it’s modus operandi. I’ve expostulated about this parlous phenomenon umpteen times. I’m elated that someone observes what i observe. Kudos to this website. Yea, Igbos are gifted people , they are very industrious. the same spirit the Super Eagles won AFCON, and they call it Biafran team. Nigeria as a Country needs the leadership of the Igbos before the country can arrive its destination take it or leave it . Sincerely, the point is missed. If there is any observed lacuna, it should be seen as the problem of the industry which he is supposed to nurture to excellence. I think he failed in this enterprise like his other attempts. The fact is that, paradoxically, it is the Igbonization of Nollywood that has popularized it. Nollywood had been in existence albeit in a moribund state, until the Igbos came in and popularized it via Igbonization. any enterpris igbos step in dey thrive & dominat it. dere are blessed & gifted by God. haters are just self-destructin demselves.